Almost all VPN services claim to be "no logs", but which ones truly keep zero logs? Find out. Which services are truly VPN no logs? Use the ones proven in court to be zero logging. Once again, VPN no logs claims are in the news and under scrutiny. Too often, VPN providers have been exposed as lying about their ‘no logging’ claims (cough, PureVPN, cough, IPVanish, cough). Most recently, IPVanish VPN’s non-logging claims were called into question when it was found to have cooperated with Homeland Security in the USA and very likely handed over logs about one of its customers. This occurred in 2016 but only came to light years later in court documents. This was reminiscent of a similar episode with PureVPN handing over IP address connection logs about one of its customers to the FBI despite PureVPN’s claims to be a "zero-logs" VPN. If you are looking for a no-log VPN service whose claims have been proven, these are your go-to choices. NordVPN's no-logging claims have been proven by audit. Therefore, you can be sure your activities while using this VPN are safe from disclosure. Private Internet Access VPN's no logs claims have been tested in court not once, but twice. In the most recent case, a hacking trial in San Jose federal court showed that PIA was unable to link online activities with a customer’s identity. This is the second time PIA’s no logging claims have been tested and proven in legal court documents. PIA does not log, period. Try it risk-free for 7 days. VyprVPN now boasts certification from an independent audit proving that it does not log. 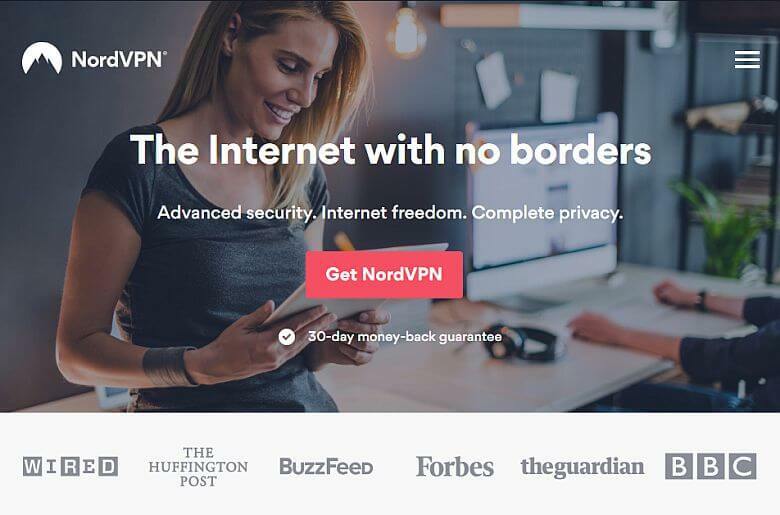 The folks behind VyprVPN, GoldenFrog, have a distinguished track record for aggressively protecting their customers and putting their money with their mouth is. Furthermore, VyprVPN and a handful of other VPN services recently partnered with the Center for Democracy & Technology to create the “Signals of Trustworthy VPNs” report. In other words, you are in very safe hands with no-logs VyprVPN. Not so long ago, ExpressVPN’s no logs claims were also confirmed when one of its servers was seized in Turkey but the server was found to contain no logs. That's a savings of 49%. Try it 30 days risk-free. Using a VPN with no logs is an important step to being anonymous online. But it's not the only step you need to take. To stay truly anonymous online even when using one of these trusted VPN services, there are still things to keep in mind. For example, when engaged in any activities you want to keep totally private when using your VPN service (for example, download torrents anonymously), do not use the same IP address for other activities that could be cross-referenced back to you. In particular, this means do not log into any password protected accounts with the same IP address assigned to you by the VPN service. In fact, best not to do any other activities at all with that same IP address. Instead, split your VPN connection or do your “normal” Internet activities on a different device, whether connected to a VPN or not. Ding this ensures that those other activities are done with a different IP address, one that cannot be cross-referenced and linked to your other more controversial activities. Here's a simple example: you connect to your VPN server and start doing activity ​X which you want to keep private. You then open another web browser tab and log into your Gmail account. Gmail's records will now have the same IP address you were using at the exact same time you were engaged in activity X. You have basically confirmed that you were the person engaged in activity X! Any party that requested information from Google would be able to make the connection to your identity as they have it on file (and you logged in after all). The number of such information or user requests to Google is exploding and the requirements are not that strict. In Google's own words [emphasis added], "Government agencies, courts and parties in civil litigation regularly ask technology and communications companies for information about how a person has used the company's services. When we receive such a request, our team reviews the request to make sure it satisfies legal requirements and Google's policies. Generally speaking, for us to produce any data, the request must be made in writing, signed by an authorized official of the requesting agency and issued under an appropriate law ..."
The same example equally applies to Facebook, your online banking, your local news site, any apps you use; heck any website or app (whether password protected or not) that could be traced back by the IP address you used to access it. Look around and you'll see almost all VPN services saying that they keep "no logs". But the truth is something quite different. Be wary of statements about no-logs and zero-logs, and do some research before blindly believing such claims. You need be sure that your VPN service is not keeping any logs of your activities when you are connected to it. Public, independent proof of VPNs that do not log is very important because it can be only months or even years later in the aftermath of legal cases or other situations when we learn whether a VPN's no logging claims are true. You do not want to sign up for a VPN that claims to be no logs only to find out the hard way later on that they do keep logs! As you've seen above, some VPN services have had their claims tested in court or by audit, and have been proven to be true. Stick to these tried and tested no-logs VPN services to be as safe and private as possible. If you want reliable VPN provider choose that one which is based somewhere outside of USA and Europe. Try to find VPN which operates in location where no mandatory data retention laws exist.